Whenever I’m looking to inject a little print action into my wardrobe, I always turn to stripes. Horizontal, vertical, wide, or thin, I’m utterly obsessed with the timeless appeal of a great stripe. 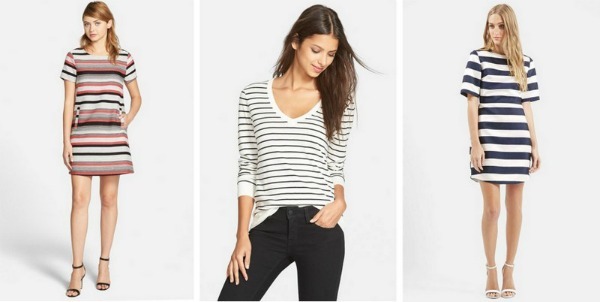 Below are a few stripe pieces I'm currently crushing on. Love stripes! I'm always drawn toward nautical stripes - must be the FL girl in me! 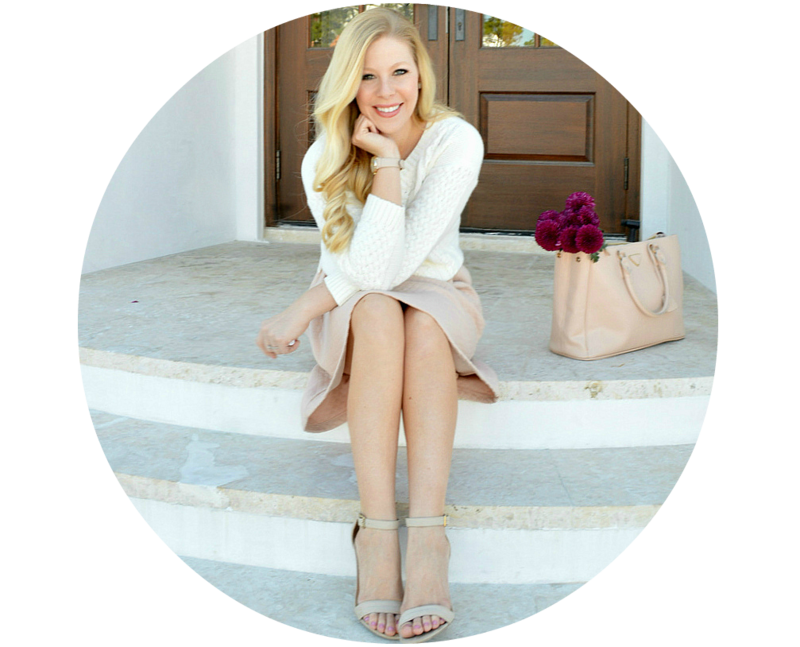 I love reading your blog more than anything! This is so important and useful! 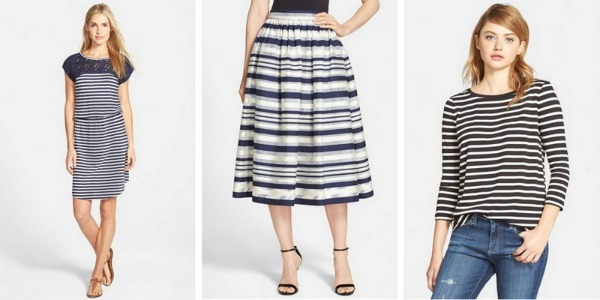 Stripes are my all-time favorite wardrobe staples, and these are all so cute! 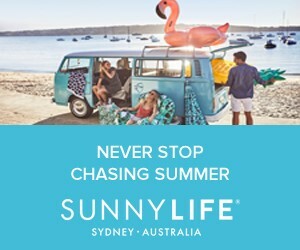 I especially love the bandeau swimsuit and t-shirts. I seriously love stripes, they just go with everything! In fact now I think of it my last two blog posts had outfits with stripes haha. Love that swimsuit! I couldn't live without stripes! I LOVE stripes! This post was great and I love all of your ideas. :) I especially love your yellow and white striped skirt... So darling! love ALL of these :) Don't forget the magic of stripey shoes or stripey nails too! I adore striped tops and striped dresses... and skirts, now that I think about it! Lol... stripe obsessed! 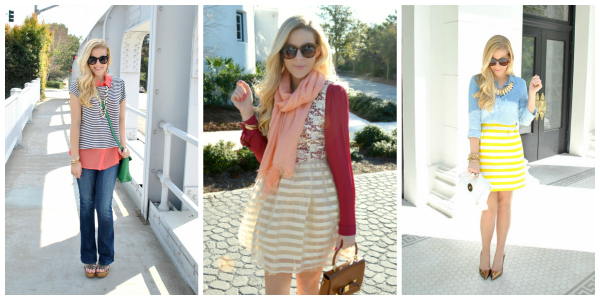 All 3 of those looks are lovely, and I like your style picks, too!! Oh I absolutely love that yellow striped skirt on you! I love stripes so this post was right up my ally. Loving all of the looks! Great blog! Useful and informative post you have made here . So much thanks for shared this on public .